WordPress has a new best friend. Quform. If it’s a complex quote or booking form or just a simple contact form, Quform will allow you to do this without touching any code. 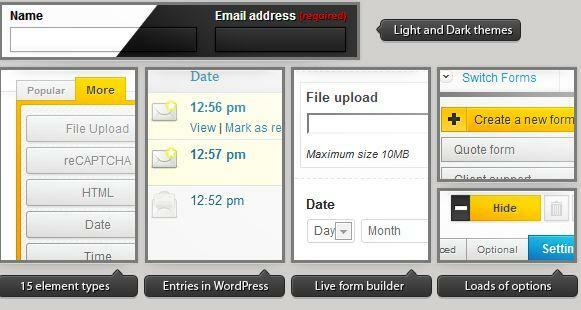 In a few clicks you will have a fully functional form. It’s that simple. Not only does the Quform take care of the functionality, it can very easily make your form look great too. 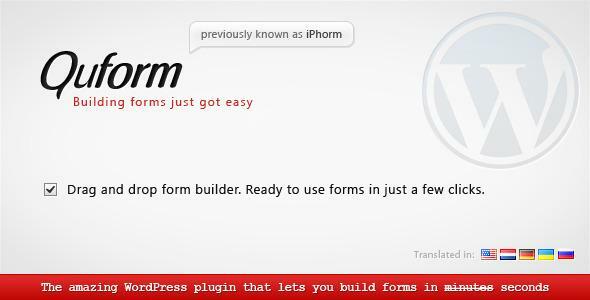 Quform has a unique form theming system. You can use one of our themes, create your own theme or use other peoples theme designs. For the more advanced user, you will not be disappointed with the flexibility of the styling features of Quform. You can have total control of your form design and there are plenty layout options so you can take it as far as you like.